Today, LOEWE approaches 170 years as one of the world’s major luxury houses, defined by the modernity of its past, an unwavering confidence in the present, and a firm look forward. Craftsmanship, progress and unequalled expertise with leather, LOEWE’s founding pillars, are reconfigured with a timely awareness evident in desirable and functional products across multiple categories, including ready-to-wear, accessories, home and lifestyle. 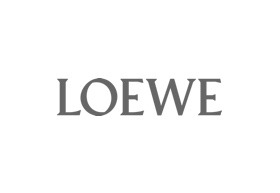 Spain is where LOEWE was born and remains the brand’s home. While its current landscape contains elements from places near and far and the Spanish legacy is expressed in modern ways, the heart of LOEWE still beats in Madrid, where all of its world-renowned leather goods continue to be manufactured. Jonathan Anderson is LOEWE’s creative director. Anderson was born in 1984 in Northern Ireland. After graduating from the London College of Fashion in 2005, he established himself as one of the most acclaimed talents in the industry. Under Anderson, LOEWE started a new chapter, presenting itself to the world more multi-faceted and dynamic than ever. Anderson’s first ready-to-wear collections for LOEWE were presented in 2014.